Earn $4.99 in VIP credit (499 points)What's This? 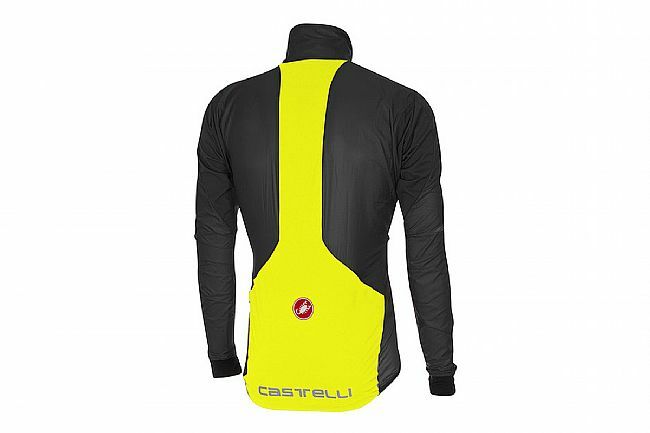 The Superleggera from Castelli is an ultralight packable windproof jacket that can be stowed in a jersey pocket to prevent being caught out in a passing storm. 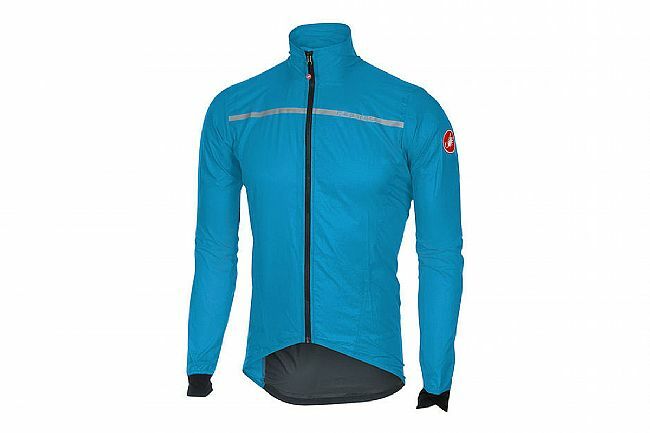 Perfect for any season, this jacket offers an extra barrier between the elements and the rider. The Pertex® Quantum base fabric nearly prevents windchill from creeping in, while the Stretch Torrent waterproof fabric is used throughout the lower back and spine and keeps roadspray at bay. The Superleggera offers a perfectly packable barrier for days where the weather can’t make up its mind. Available in Anthracite and Surf Blue. Claimed weight: 91 grams (Large). Pertex® Quantam base fabric for incredible windproofing while retaining breathability. Stretch Torrent waterproof fabric insert throughout the back. Reflective accents on front and rear. This is a very thin and lightweight shell. It gives me very light wind protection. I wore it for 15 miles in a light rain and it kept me dry. When I got home, I could see that it was starting to come thru. I would say if you want to be just a tad warmer on chilly starts or a descent, this will work. It will easily pack into a jersey pocket. The zipper pulls pretty easily with one handed operation. 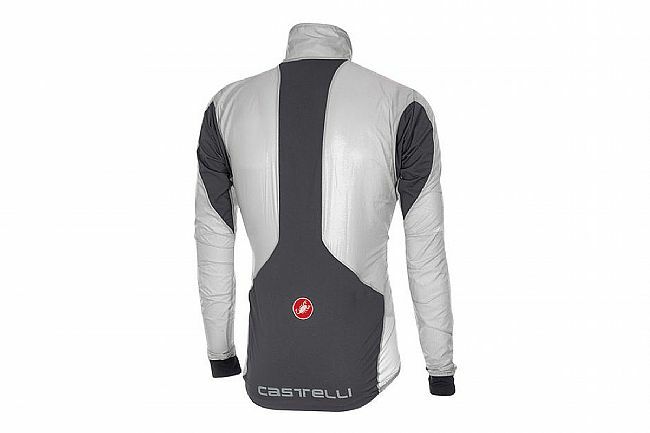 And despite Castelli's usually super small sizing, I was able to get by with a large. I'm 5'9 160lbs and usually wear a large in their jerseys, and I still have a little room with this over a jersey and arm warmers. It will flap a bit at speeds over 25, but it's minimal. Works best for cutting the wind and staying warm. Was good up to a point in 20 miles of heavy drizzlelight rain - by the end, water was starting to come thru. Excellent fit.